2016 Year in Review — Valerio Dewalt Train Associates, Inc.
2016: It was a big year. Huge. Looking forward to a what are surely to be eventful months ahead, we take stock of a tremendous year behind us. In 2016, Gordon Parks Arts Hall was lauded in several major publications, including a cover story in Architect Magazine. Architect Magazine’s Arch50 named us #36 design firm in the country. Principal Joe Valerio received an Interior Design HiP award at NeoCon, the Godfrey Hotel was named one of the top 100 buildings in North America by ArchDaily, and our Media Objectives studio was honored for their work in environmental graphics. With several projects currently underway, and a few more in the wings, 2017 is looking bigger and brighter. A major renovation and addition at Walsh College in Troy, MI deploys architecture to transform student’s experience, reconfigure the staff workplace and create a new public identity for the college. BAM set up shop in the General Motors building in Manhattan. We designed a fresh take on the classic office spaces with custom lighting, wood and stone finishes, and plush furniture alongside open offices, collaborative work spaces and a communal kitchen. Yelp expanded its Chicago headquarters to a second floor at theMart. We designed the new office space, a contemporary kitchen and cafe and a custom steel staircase to connect the two floors. Phase I of a 60,000 SF office renovation at 1055 Joaquin in Mountain View, CA. The new design includes flexible workstations, collaborative workspaces, and rolling whiteboards. A cafe and wellness center for Adobe Fresh SF, which includes a renovation of 16,000 SF of the first floor and a refreshed cafe and breakroom. Completed late last year, 2016 was the year of Gordon Parks Arts Hall. The building, which is part of the University of Chicago Laboratory Schools renewed master plan, had a cover-story in Architect Magazine. Ed Keegan wrote that Gordon Parks Arts Hall “feels of its time and its place, and offers a road map for the integration of diverse—and functional—architectural forms.”The project was also featured in Mark Magazine, Chicago Tribune, Architect’s Newspaper, World Architecture News, Dezeen, and ArchDaily. The year for Gordon Parks culminated by being named one of the top 12 buildings of the year by Architects Newspaper. Several exciting new construction projects broke ground in 2016, across three different time zones. On the west coast, CalPoly’s new mountainview student housing is in progress and slated to be completed next summer. In Denver, CO, the 277-unit Industry Apartments is well underway and scheduled for completion in spring of next year. In the Midwest, 8 E. Huron, a 26-story, luxury rental highrise is going up in Chicago’s River North neighborhood, and in Madison, WI, a mixed-use redevelopment of the former Anchor Bank Headquarters is being expanded to a 225,000 SF multi-tenant office building and 80-unit luxury residential building right off Capitol Square. Both are on course to be completed this spring. Outside of the office, we have led and contributed to several community outreach initiatives, mentorships and sponsorship opportunities. We hosted three UW-Milwaukee research interns as part of the continuing “Future of” program. 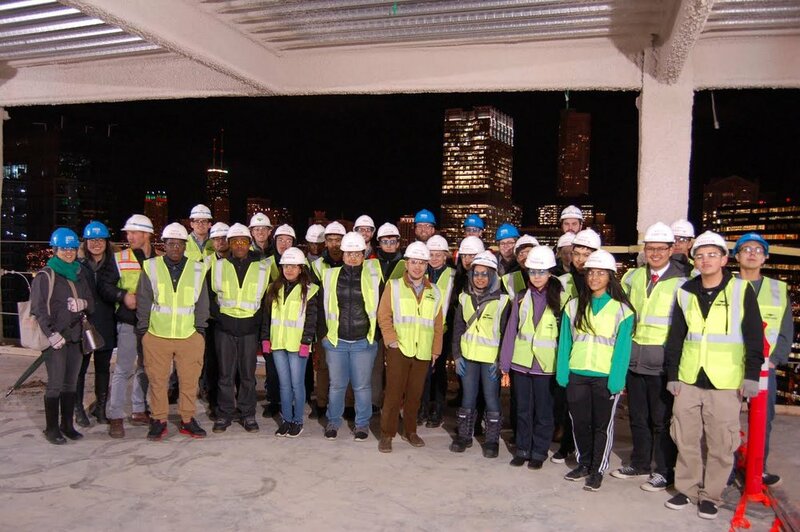 In November VDTA hosted a group of students from Dunbar Vocational Career Academy as part of AIA Chicago’s Chicago Public School firm tour program. Architect Jennifer Cooper coordinated our involvement with Chicago chapter of the national ACE (Architecture, Construction and Engineering) Mentorship Program. Volunteers from the architecture studio mentored high school students throughout the school year to provide insight and opportunities in the various disciplines. Senior Associate Sheri Andrews heads CREW Careers, a four week outreach program to help educate low-income high school girls about possible careers in the real estate industry (everything from bank lenders to civil engineers and contractors). As co-chair of the Junior Board for Architreasures, an organization that engages architects and designers in community-based design, architect Hannah Ambrose organized three major fundraisers, with VDTA sponsorship. Architect Katie Hart served as the Education Programming Leader for reFortify, a design competition where teams of 5-6 professionals work with local youths to create feats of textile architecture, constructed of donated bedding and clothing that is then donated to Breakthrough’s shelters. 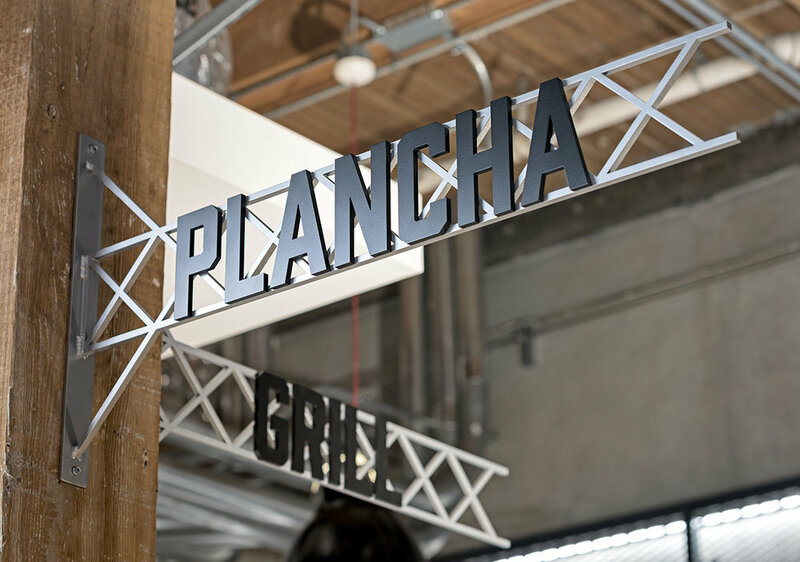 In California, as an active member of the IIDA SF City Center Committee, architect Denise Rocha helped organize the Made Local event, which features local artists, fabricators and manufacturers who produce goods for the built environment. All proceeds from the event went to Larkin Street Youth Services. And lastly, but not least, we sponsored the publication of the latest issue of SOILED. Tom Daly and Bob Webber were both promoted to Senior Associates. Adam Farooq was promoted to Marketing Director. We extend our congratulations our gratitude for their continued leadership and exemplary work. Our Media Objectives studio had a smashing year. 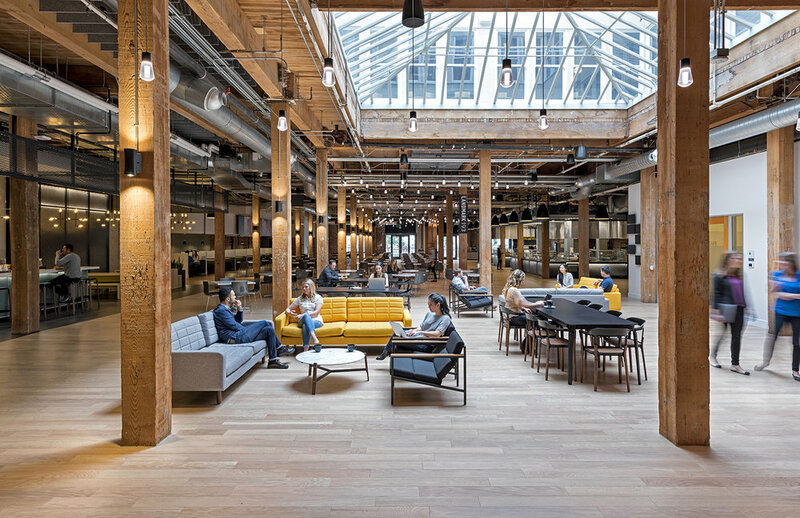 The studio led a successful bid for Boston Children’s Hospital donor recognition system, began work on Glassdoor’s new Chicago office, and designed a wayfinding strategy for Adobe’s San Francisco campus. M-O’s SAIC donor wall design was honored with a Core77 award and a Global Design Merit Award by SEGD. Our branding and graphics for PayPal Timonium won a Print Magazine award. Managing Director, Joe Lawton, and Studio Director, Ellen Bean presented at the SEGD Wayfinding Conference in Miami, while Studio Director, Stephen Killion presented at SEGD Chicago’s 20×20 event, “INSPIRE”. Additionally, Stephen Killion was promoted to Chicago Studio Director, and Ellen Bean was promoted to California Studio Director.